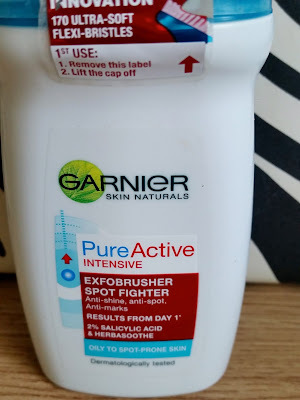 I was looking around for a product that would help beat the blemish and help exfoliate the skin at the same time. Garnier Pure Active Exfo-Brusher Spot Fighter being a brush, certainly makes a change from using the others. 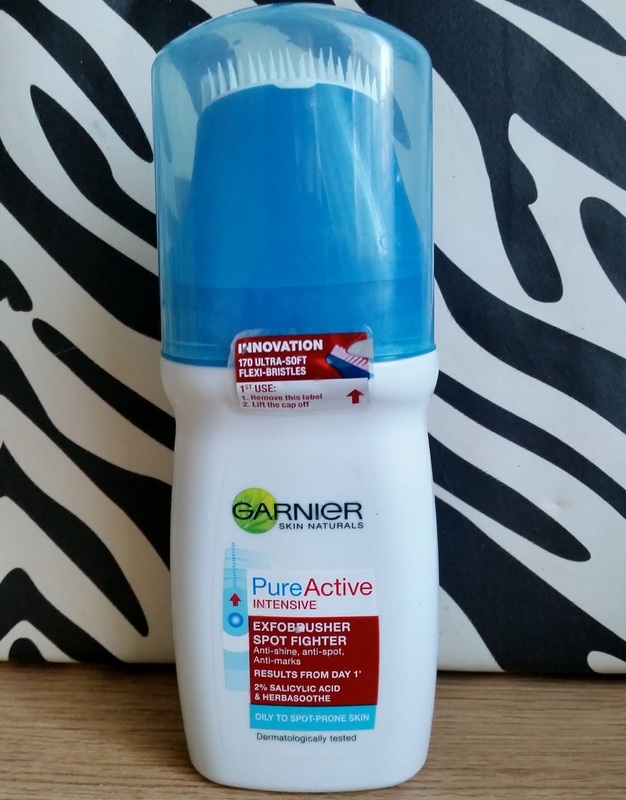 Garnier Pure Active Exfo-Brusher Spot Fighter revolutionises your daily cleansing routine. Intensive deep cleansing helps remove dead skin cells and fade marks. Works to unclog impurities from pores and visibly reduces sebum levels. 2% purifying salicylic acid, a maximum concentration of an extremely effective anti-bacterial ingredient. Selected to help clear pores and protect against spots even before they appear. Herbasoothe is a natural active derived from Blueberry, selected for its caring and soothing properties. By the look of the bristles they do appear to look quite rough but don't let appearances fool you. The bristles on the head brush are really smooth and rubbery and the label states there are 170 of these featured on the head. anti-clockwise to close and stop and liquid from spilling and keeping it safe in the bottle. I really like this as it does soothe and also helps calm down the skin when you are suffering from blemishes. Also it does make blemishes fade and go quickly! The skin does feel well cleansed and clean without that over drying u can get from some other spot treatments. This retails around the £7.00 mark but if u look around it is usually on offer, so have a hunt for it online.